How come the tag you made is sloppy looking and the characters don't line up? We are duplicating typical features that original tags contained. Note, for example the door data plate that contains characters that are not aligned as they are typed across the tag. See especially how the "03" that is used after the date is quite a bit lower than the other characters on that line. 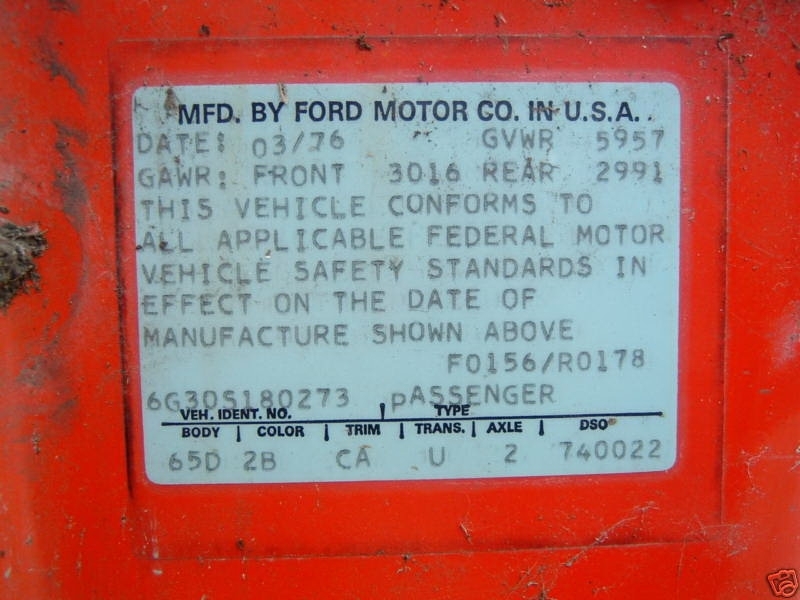 The serial number and the term "PASSENGER" run into the descriptors. These were typical issues with the technology that was used to make these tags in that era. Note how with the engine tag, the "FoMoCo" is not completely stamped. 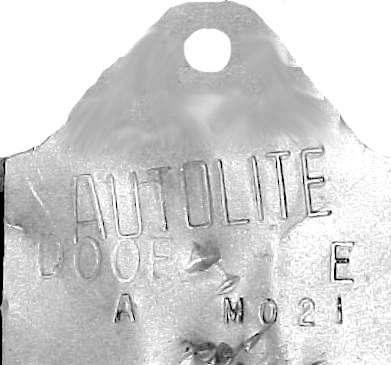 Skipped, incomplete, or crooked stampings were common on metal tags as can also be seen in the carburetor tag where the "AUTOLITE" stamping is very crooked. It is typical for the door data plates that the data does not line up with the labels. Further, the data not being completely in the data boxes is typical. These factory quirks are important to duplicate to maintain authenticity in the restoration of vehicles. Marti Auto Works carefully researches each tag before we reproduce it to maintain all original factory procedures. Even though the novice may think of these as "errors," they represent authenticity. Periodically, we are requested to "correct" these tags. We will not do that. It is no different than asking an archivist at the United States National Archives to correct a spelling error in the Declaration of Independence. Both the Declaration and your vehicle have historical value and we will do our part to help maintain that part of history.